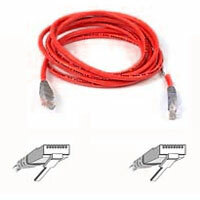 25m network cable (UTP Category 5e Patch). RJ45 male connector to RJ45 male connector. Ideal for connecting a hub/switch to a computer.